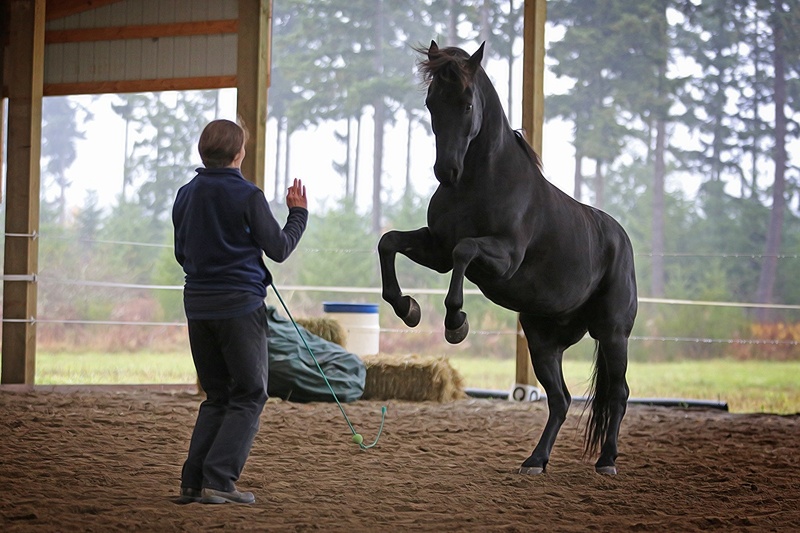 People have always loved a pony or a horse that can do tricks, but notice I have listed “trick training” at the bottom of my technique section. Ideally, the other techniques have been completed before trick training. You can tell when a horse is taught trick training in a forceful manner, without much regard for fairness or companionship, by the ears and attitude. If the horse does a trick but pins his ears and swishes his tail or shakes his head, there is a bit of resistance and he was taken too fast or being asked in a forceful manner. Please note: Almost all horses will put their ears back for rearing but that is different than pinning the ears. 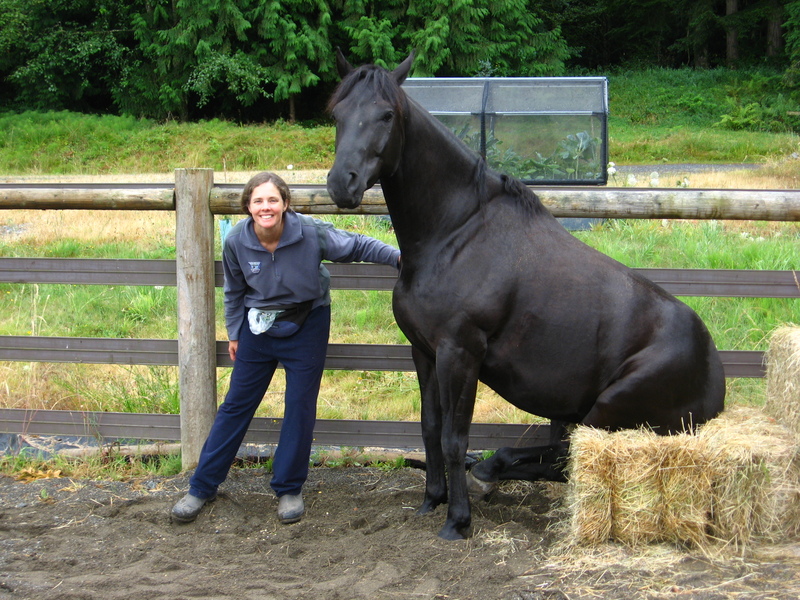 Assuming all is well with the equine-human relationship, useful tricks I have taught my horses include: saying yes and no, smiling, fetching a ball, pedestal work, sitting and rearing. Some horses love tricks and will offer you their favorites voluntarily, almost as soon as they are taught. The most helpful tool with trick training is the clicker training so you can mark the moment you want to recreate or add onto later. One key is reading when the horse has had enough for that session or day by reading his body language. Shaking the head is the universal way to say, “No.” or “I don’t understand” or “I am frustrated.” I always end on a good note or with a trick the horse prefers or knows. All tricks are rewarded with food, especially when starting out.